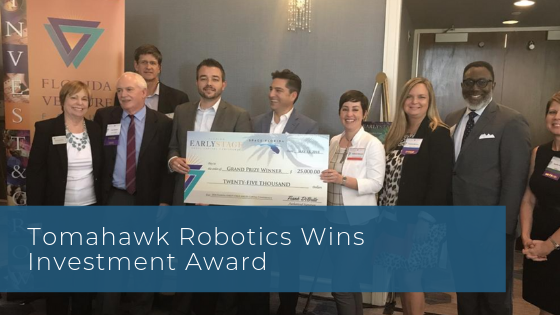 Florida Venture Forum selects Tomahawk Robotics from more than 150 companies as the Grand Prize Winner of 2018 Florida Early Stage Angel Capital Conference. Founded and based in Melbourne Florida, Tomahawk Robotics is company of experts in control system development and manufacturing for robotics systems. Our goal is to accelerate the mass adoption of robots at scale by leveraging ROS and the portability and accessibility of mobile devices to create a streamlined robotic internet of things.